The thought of having a magazine-worthy home seems to fade away when children appear in the equation. It is no secret that keeping a pretty home is so much harder with kids, but it doesn’t mean it’s impossible. Ok, keeping a house clean and looking its best is no easy task with kids in the mix. However, there are numerous decorating tricks you can use to maintain a beautiful house with children and as you already know if you’ve been reading us, when it comes to design ideas with kids in mind, we’ve got you covered. Today we’re going to focus on one of the hardest parts to keep your house “pretty” when you have children: the organization of their toys and belongings. We’ve collected some beautiful toy storage ideas from around the web that will guarantee a happy home life through great design. Kids have stuff – lots and lots of stuff. When toys take over the house it can make you feel like you are covered in clutter! So the question is: where do you put it all? Given the diversity of sizes and shapes, the amount of small, removable pieces, and frequency of use, figuring out cute and practical toy storage solutions can be a challenge, especially if you don’t have a lot of space. 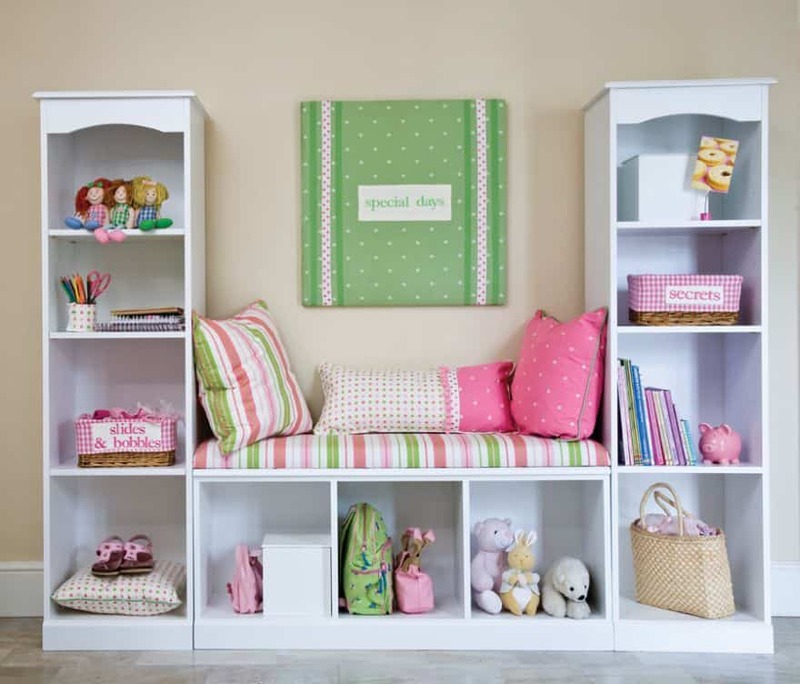 The secret to toy storage success is choosing solutions with your kids in mind – once you figured out what works best for them, the next big thing to consider is how to do it all in style. From inexpensive shelving to pricey built-ins and from classic cube bins to unique floating shelves, these toy storage ideas might just inspire you to give your kids’ rooms and update. 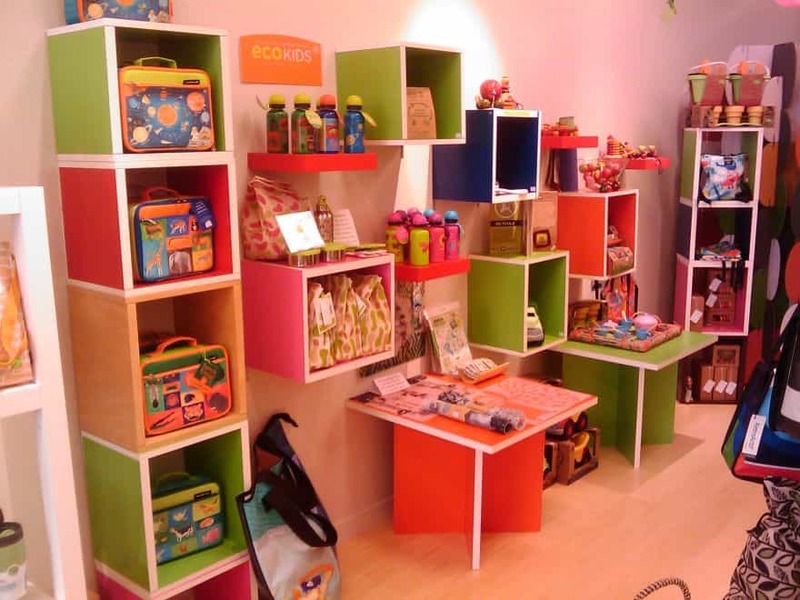 This is one of the most common storage solutions for kids’ playrooms. Due to their versatility, these cube shelves can be used vertically or horizontally and will blend with almost any decor styles. 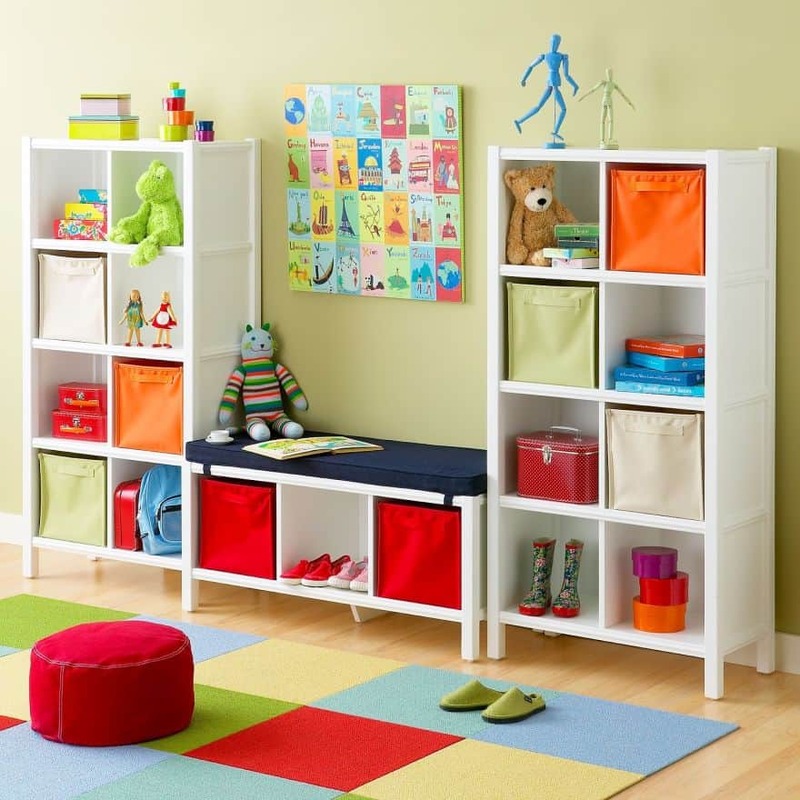 Easy to assemble, cube shelves can provide ample storage to accommodate an assortment of toys. These are essentially groups of stacked cubes with or without pullout baskets. The cubes can be self-standing or mounted on a wall and you can use simple transparent boxes that let the child see what’s inside or wicker or wood baskets that can be labeled with words or pictures. ….a stylish modular and cost-effective solution to clear the clutter, just as good (if not better) than some pricey high-street alternatives! …this kids’ room perfectly illustrates just how versatile cube shelves are – they can be configured to suit your space and kid’s age. 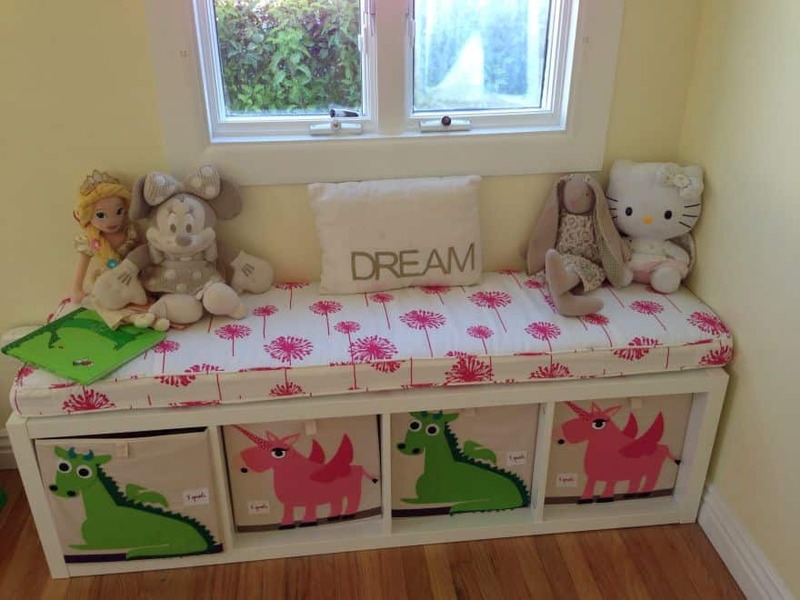 A wonderful addition to a child’s room or playroom, toy boxes hold all of a child’s favorite things. This makes it a real life treasure chest, so it makes sense to make it look extra special, transforming the box in a toy itself. It can double as a as a driver’s seat, play fort wall, or even a reading bench. 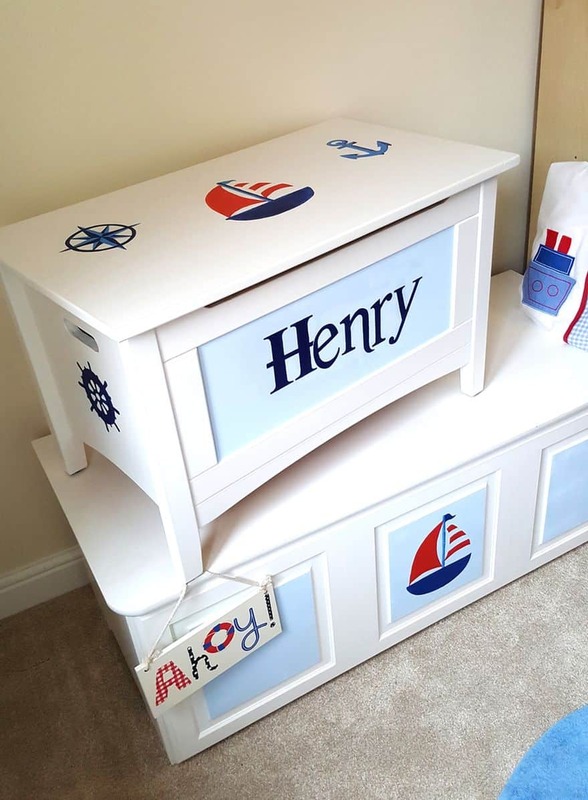 Kids will love having their very own toy box, so getting a personalized one can be a great idea. 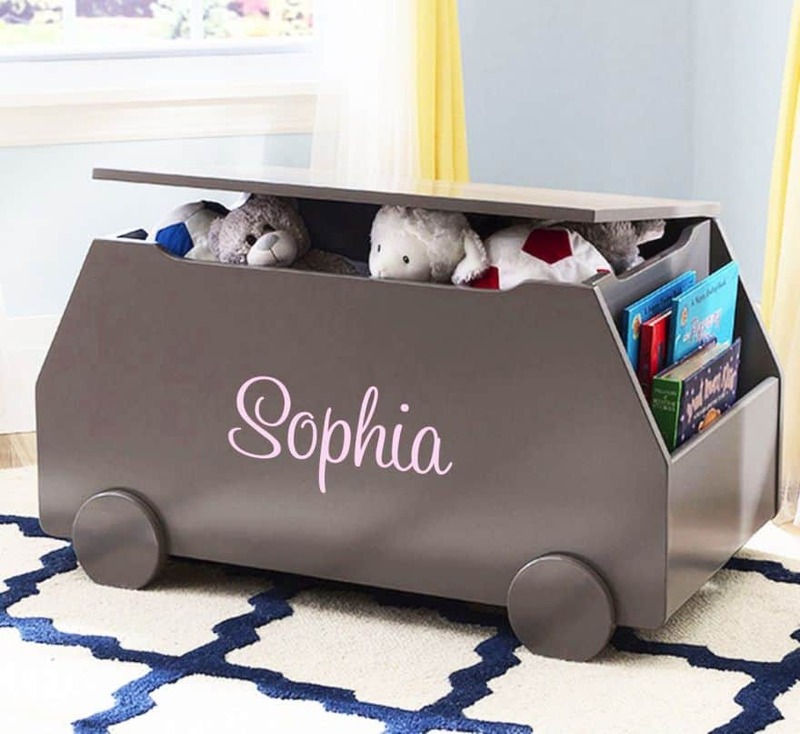 …this awesome personalized toy box has a simple yet fun design that doubles as a toy car. 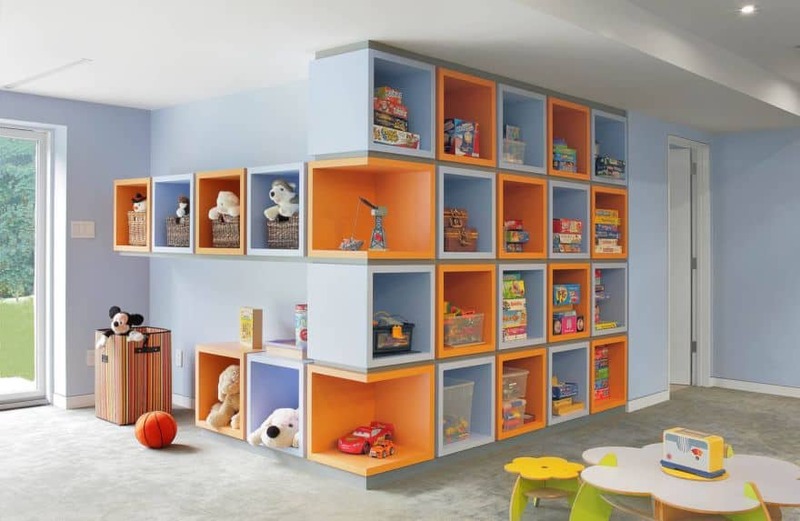 Not only looks amazing but also provides large storage space for different type of toys. …a personalized toy box can teach your kids the value of keeping their belongings neat and organized. …toy boxes are a great toy storage solution because they make it easy for children to clean up. 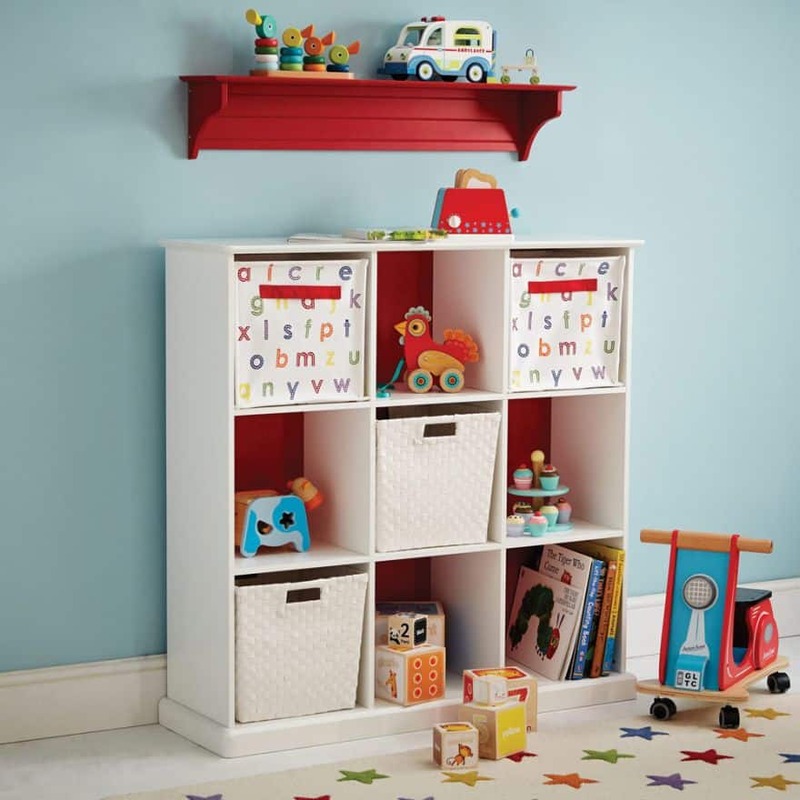 With a toy chest you can keep their toys in one easily accessible spot and out of your way. 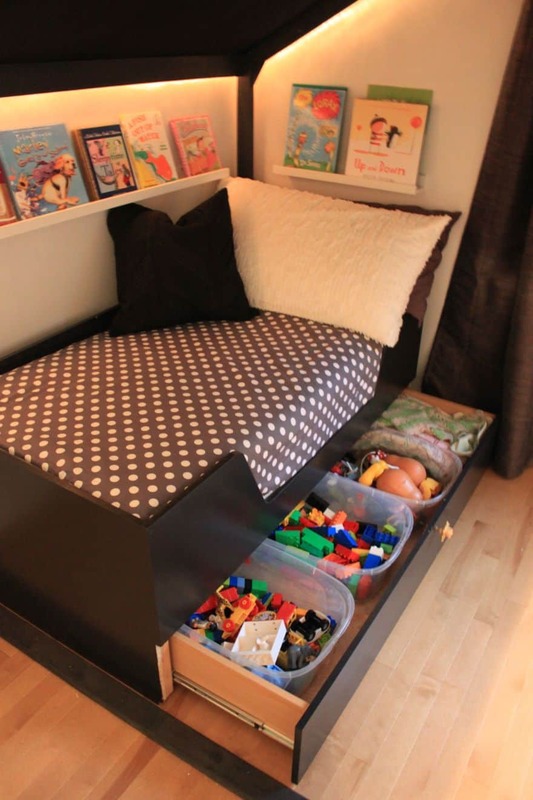 Another classic solution for the kid’s toy storage problem can be drawer boxes that are placed under the bed. An under-the-bed storage box with wheels can help you save space in the kids’ bedroom and make it and make it easy for kids to get to their toys. 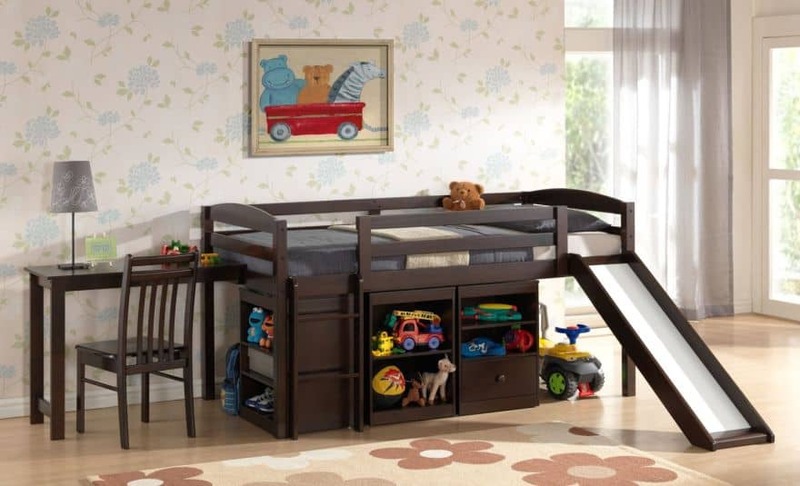 The top provides space for sleeping, and under the bed, kids can have a designated spot for their stuff. …a perfect design for your kids’ room – the visual proof that you don’t have to sacrifice good design for comfort simply because you have children. ….placing a box with wheels under the bed can help you use that empty space and make it easy for kids to pull in and out. The drawer under the bed can easily be pushed back under the bed after the kids finish playing with their toys. …under-bed storage to the rescue! 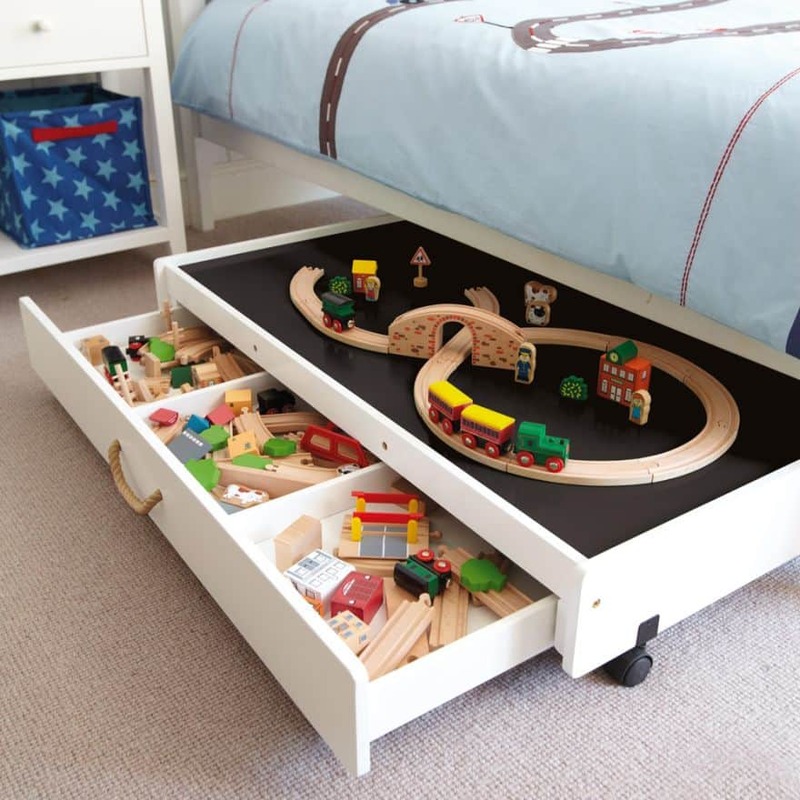 For toys such as train sets, this could be a perfect idea. Play tables are surely a nice thing for all kids. Not only they allow your kids to have fun, they can also offer some storage opportunities – the more, the better. They are both good looking and practical, combining fun and functionality. There are a lot of options on the market, jam packed with ways to keep the kids busy and stimulate their young minds, but also with lots of storage elements to put all those wonderful things away when they’re done with them. ….on the top the table has space for imaginative play. 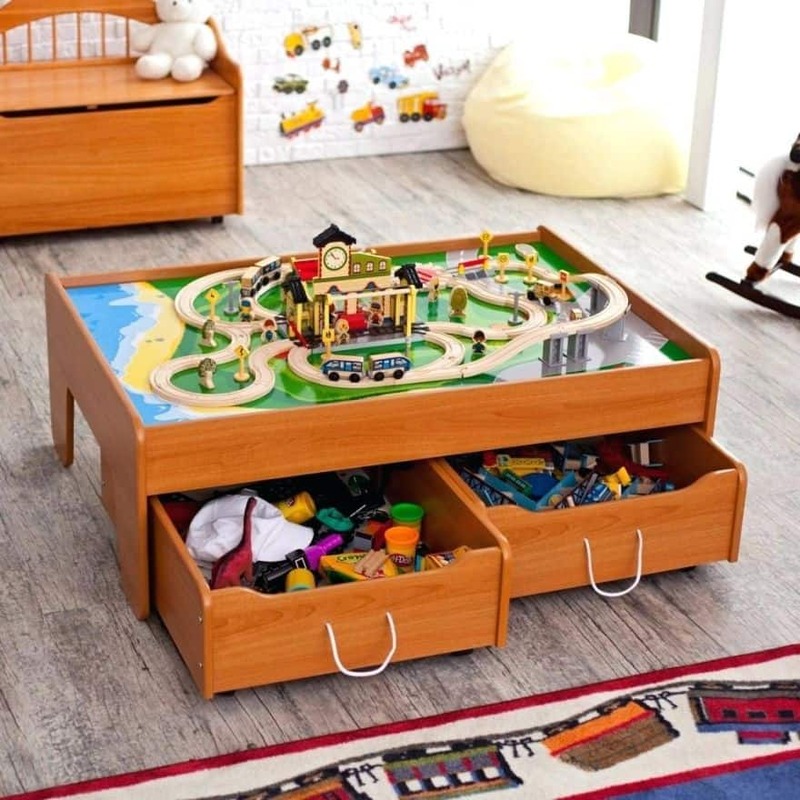 Underneath it has two drawers, where your child can storage his toys. …a beautiful DIY project! 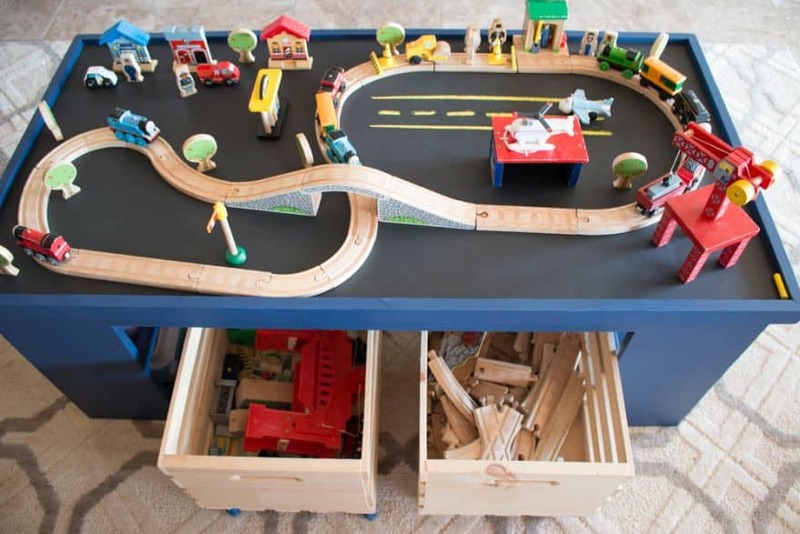 Construction is made of plywood and the play table is equipped with two compartments for storing toys. The chalkboard top is perfect for setting up a creative playing space, as the kids can draw whatever they like. 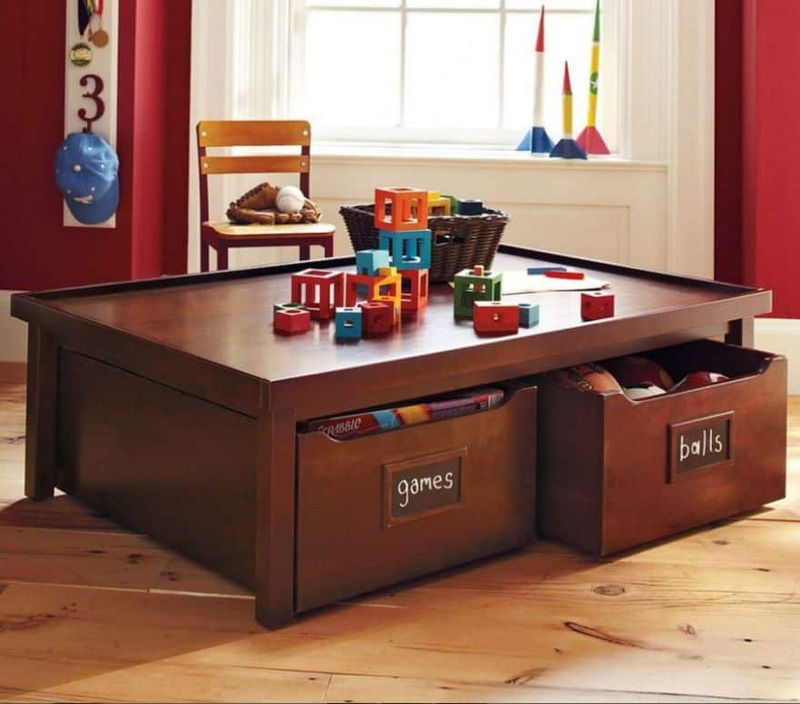 …we love the classic look of this children activity table. Not only it looks good, it also offers lots of toy storage space. Designed with kids in mind, it perfectly illustrates that you don’t need to sacrifice style for function. Benches are among the most versatile pieces of furniture you can buy for your apartment. If you opt for a reading bench with storage space underneath, you can feed two birds with one seed. Your kid will be inspired to sit and read while you get precious storage space for his toys. …what is great about this space is that it doubles for playtime and quiet reading time. 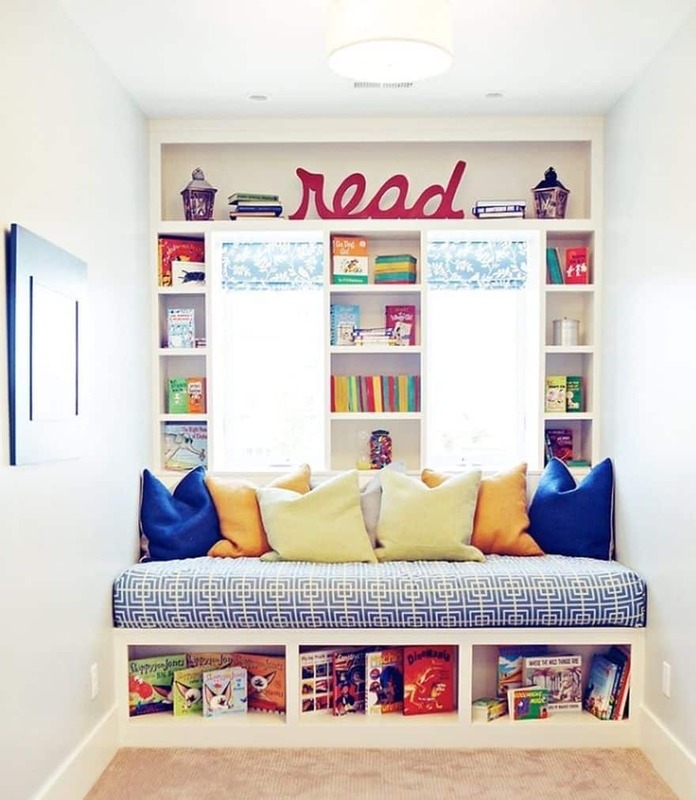 …the perfect reading nook designed with kids in mind! …build a reading nook on top of a playhouse! We’re hoping that you were inspired by all these beautiful toy storage ideas and maybe you’ll choose one for your home! But before opting for any of them, remember that they must fit your child’s needs. So keep the kids in mind before anything else – you and your child will probably have different priorities when it comes to decorating the house, but try to meet in the middle!